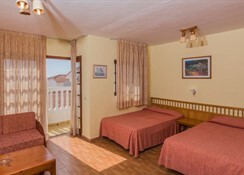 Tinerfe Garden an apartment complex in Tenerife with a swimming pool, green areas, bar and lounge bar as well as private parking and Wi-Fi access. 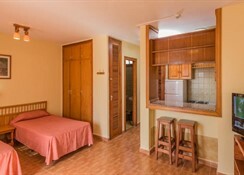 It is only a 10 minutes’ walk from Siam Park and Aqualand. 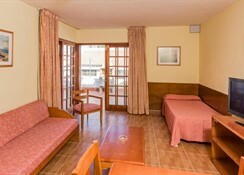 In the middle of the complex, you will find the pool area, with a large sun terrace, a snack bar with billiards and table tennis. Tinerfe Garden features 78 rooms, which fall in four categories, all with satellite TV, telephone and a safety deposit box. 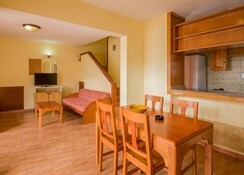 The kitchen is equipped with a cooker, oven, microwave, toaster, kettle and a fridge. All have their own terrace with sunbeds. Heated pool between 25 and 27 degrees available from 1st. of November until 30th. April. Please note that some services include a local charge. The Tinerfe Garden ideally sits in the southern part of the Tenerife Island, which is about 16.5km from the Tenerife South Airport. It will be an exciting time for the beach lovers as the nearest beach is only 10 minutes’ walk away. Those who want to satisfy their urge to spend can go to the San Eugenio Shopping Centre, which is only 190m away. Water sports enthusiasts can head to the Aqualand Water Park, which is around 10 minutes’ walk and there are also many options for adrenaline rush sports on the beach. Tinerfe Garden comprises 78 room that come in four categories namely Studio, 1 Bedroom Apartment, 2 Bedroom Apartment for 4 people and 2 Bedroom Apartment for 6 people. 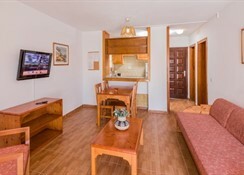 All the rooms have all the necessary amenities that include satellite TV, safe boxes, internet and the kitchens comprise kettle, electric cooker, microwave oven, toaster and refrigerator. The hotel houses a pool-side bar, where you can have drinks and snacks while relaxing or sun bathing. If you want to explore more, you can step into one of the restaurants and bars available around the hotel, where you can explore Spanish, Italian, Asian and many other delicacies. Some of the bars and restaurants near the hotel include UMI Japanese Restaurant, The Hundred, Marios 1, B and Q Chinese Restaurant and they are only a short walk away. 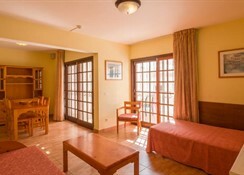 There are ample sports and leisure facilities available in and around the hotel. 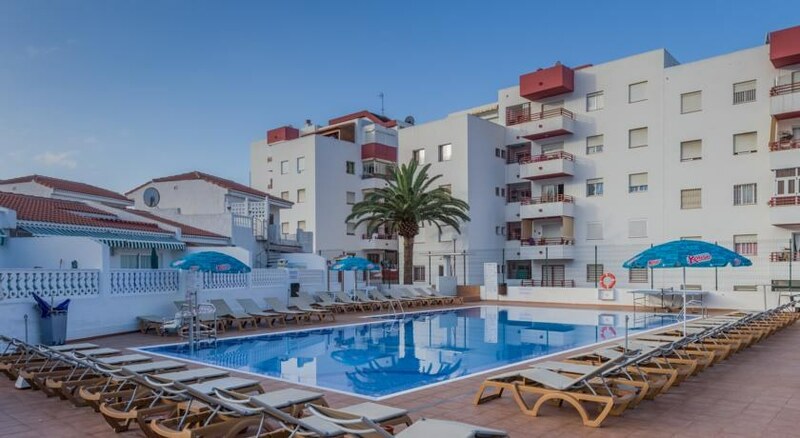 It houses a massive outdoor swimming pool, which is heated in winter, where you can also find sun loungers, pool bar, solarium, billiards and ping pong. Those who are enthusiastic about golf can go to the Golf Las Americas, which is only 2.9km away from the resort and tee off at a great course in the sun. It will be an exciting stay for the beach lovers and water sports enthusiasts, as the nearest beach is only 10 minutes’ walk from the hotel where there is an abundance of local bars and restaurants.